Born as the eldest of 4 to a farmer couple, Aulia (9 years old) is a smart kid. He loves to read. At the age of 2, before he started schooling, he was already able to read prayers out loud. Everything changed when Aulia was diagnosed with cataracts at the age of 3. The story of how that happened is not clear. His parents said it started with eye irritation. They suspected that dust got into his eyes while playing with friends. The irritation worsened as time went by and his sight gradually reduced. 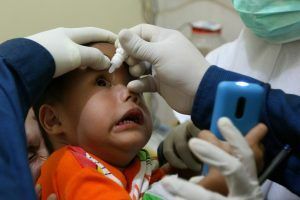 His limited vision made reading very difficult for little Aulia, he had to place the book very close to his eyes, almost kissing the book and he had to focus hard to make out the words and sentences. 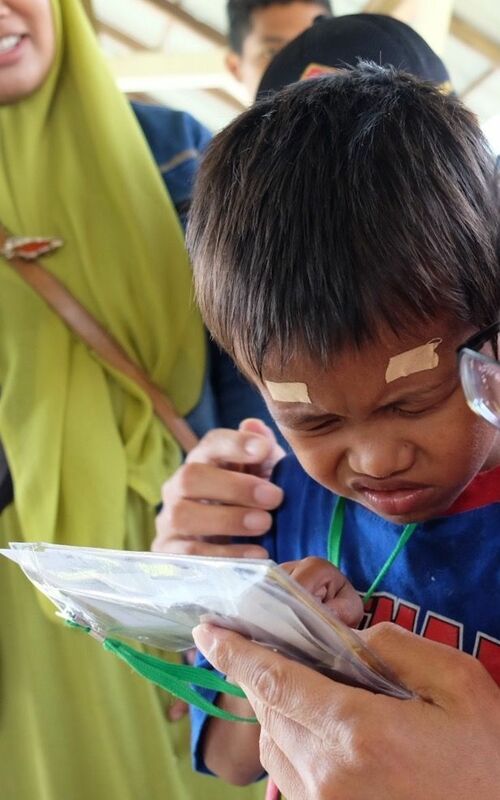 When Aulia’s uncle heard about ANV free eye screening in Sidempuan, he immediately booked the seats on the earliest bus and the whole family came with high hopes for Aulia. Though we managed to tame Aulia for surgery under local anaesthesia, it was a difficult process. He cried and could not be pacified. At one stage, we thought he had to go under general anaesthesia which meant his surgery would have to be rescheduled. Lucky for him and us, we discovered he loves singing! So throughout the procedure (from anaesthesia to surgery), his mother was by his side with several volunteers singing and he sang along! One month after surgery, Aulia and his parents came for check up. What a difference! No longer cranky and crying, Aulia is now a composed, confident and smart looking little boy.